Healthy yellow cedar from the stand on Douglas Island, near Juneau, AK. We are high in the fold of a steep, boggy valley when my friend Sarah spots our quarry tucked amidst blueberry and dark hemlocks. 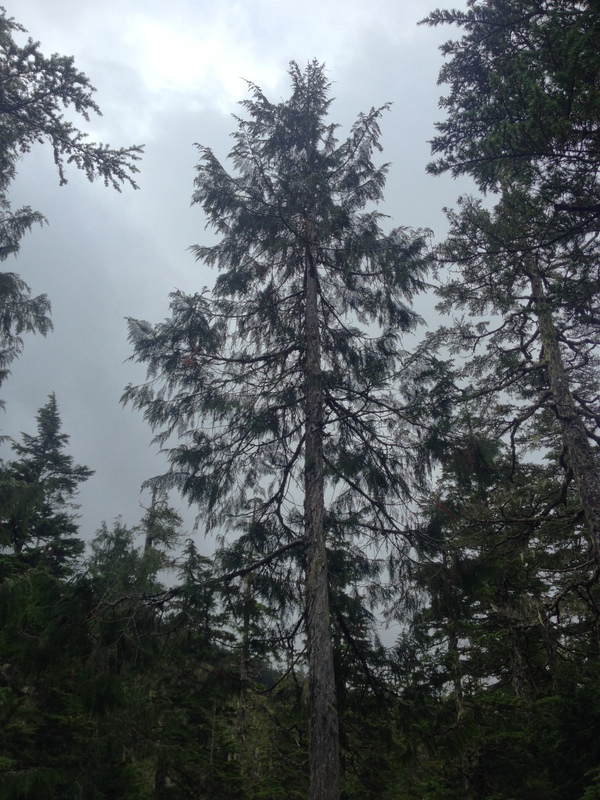 The first yellow cedar is spindly, no more than four inches in diameter, with striated reddish bark and drooping feathery fronds that seem to fit the sodden, misty September day. We poke around and find another, then another; there are a couple hundred of the trees in this stand leaning over a cascading stream and spaced out along a hairpin bend in the trail that leads up to a Forest Service cabin above Juneau, Alaska. ← Claustrophilia: Do wide-open lands bring us closer together?